Several years ago Jim learned about HHA through a mutual friend of the Harveys. At first, his involvement was financial. 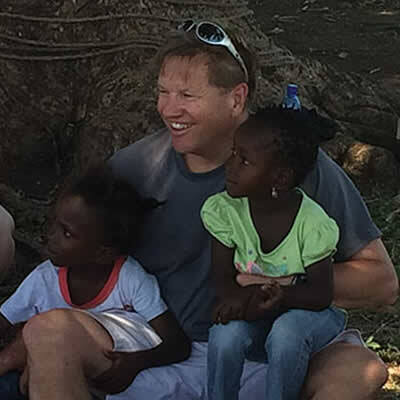 As he learned more about the wonderful purpose of HHA, his interest was piqued and he decided to go on a mission trip there with his two older sons. 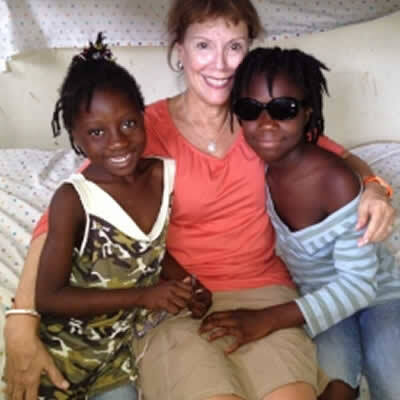 During the visit, Debbie was called to pick up two new boys to be placed at Kay Anj Village. It was then that Jim met Will and his brother James. It was poetic. Will looked at Jim, Jim at Will. 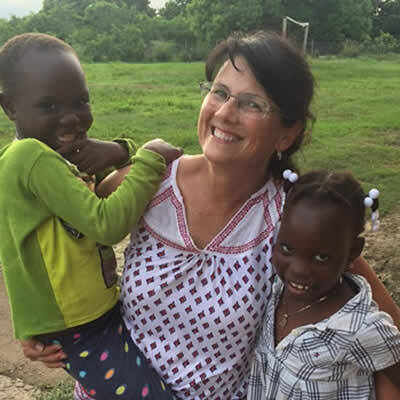 They exchanged smiles and they were instantly bonded. Will did not leave Jim’s side for the remainder of the trip. 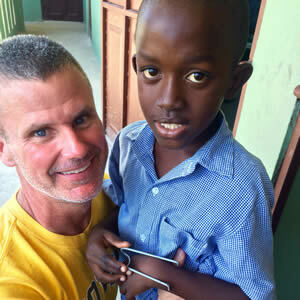 Since that time, Jim and his sons, including his youngest have made many trips to Haiti. It has been a life changing experience for Jim, so much so that now he is a member of the HHA board.